The Law Offices of Ali Komaili is a Criminal Defense (DUI, Misdemeanors & Felonies) and Personal Injury Firm (Auto Accidents, Slip & Fall, Dog Bites). Contact Law Offices of Ali Komaili for a free consultation (888) 390-8282 now! Law Offices of Ali Komaili is an Orange County law firm that focuses on Personal Injury and Criminal Defense. Law Offices of Ali Komaili handles cases out of Orange County, San Bernardino, Los Angeles, Riverside, and San Diego counties. Attorney Ali Komaili has been awarded the National Trial Lawyers Top 40 Under 40 Award in 2016 and the National Academy of Criminal Defense Attorneys Top 10 Under 40 award in 2016. 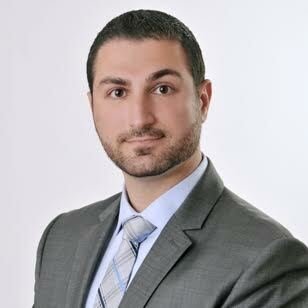 Attorney Ali Komaili has been a member of Orange County Bar Association, Orange County Bar Association Young Lawyers Division, Los Angeles County Bar Association, California Attorneys for Criminal Justice, National Trial Lawyers, and California DUI Lawyers. I offer a free consultation to discuss your case and answer your questions. Law Offices of Ali Komaili is dedicated to representing those who have been charged with crimes or accused of committing crimes as well of those who have been convicted of crimes and wish to clear their records and move on with their lives without having their convictions weigh them down in life. Criminal Defense Attorney Ali Komaili has been a member of Orange County Bar Association, Orange County Bar Association Young Lawyers Division, Los Angeles County Bar Association, California Attorneys for Criminal Justice, and California DUI Lawyers. Law Offices of Ali Komaili provides excellent customer service to their clients by always returning phone calls and making sure client's questions are always answered and clients know the status of their case at all times.